Post Card: Shot of Shattuck Ave.
27 LOCATIONS USED IN "MOTHERS OF MEN"
BRANCIFORTE SCHOOL (Branciforte Ave. & Water St.): Facade used for exterior of "State Supreme Court building." "PERLA VILLA" FRED SWANTON HOUSE (520 Soquel Ave.): Exterior & interior, as "Grant Williams home." CASA DEL REY HOTEL (Beach & Cliff sts. ): Interior of lobby, fireplace sunroom, hotel room. BOARDWALK CASINO (Beach & Cliff sts. ): interior of Grill Restaurant (under the pleasuredome), and Sun-Room porch. GOLDEN GATE VILLA (924 Third St.): Interiors, as governor's office. THE ARMORY (Soquel & Front sts. ): Street scene. BIRKENSEER'S CHINATOWN (720 Front St.): Exterior of the old Passtime Club building, used as "a saloon." Streetscape scene of "China Lane." FRONT ST. CITY HALL (now Museum of Art & History). Front St. exterior at an angle, with American flags in front. FIRE DEPARTMENT YARD (lobby of Museum of Art & History): Gallows scene. 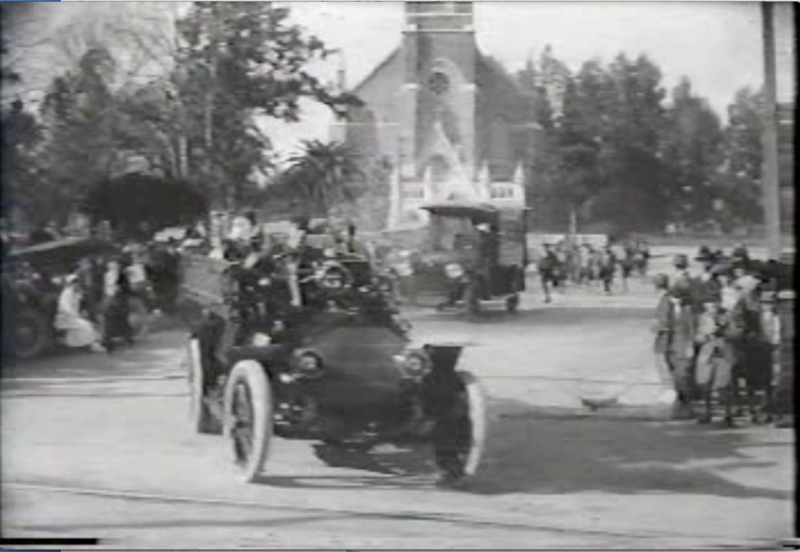 1917 SANTA CRUZ FIRE ENGINE, & AMBULANCE: In action. SANTA CRUZ COUNTY COURT HOUSE (Pacific & Cooper St.): Interior of judge Benjamin Knight's superior court room. Exterior in Courthouse Alley. 1890 SANTA CRUZ COUNTY JAIL (site of Museum of Art & History office wing), Facade. LEONARD BUILDING (115 Cooper St. at Front St.): Street scene. LEASK'S SEASIDE STORE (now Cinema 9 at Pacific & Church sts.). Exterior from Courthouse Alley. COUNTY BANK BUILDING (1502 Pacific Ave. at Cooper St.): Street scene. 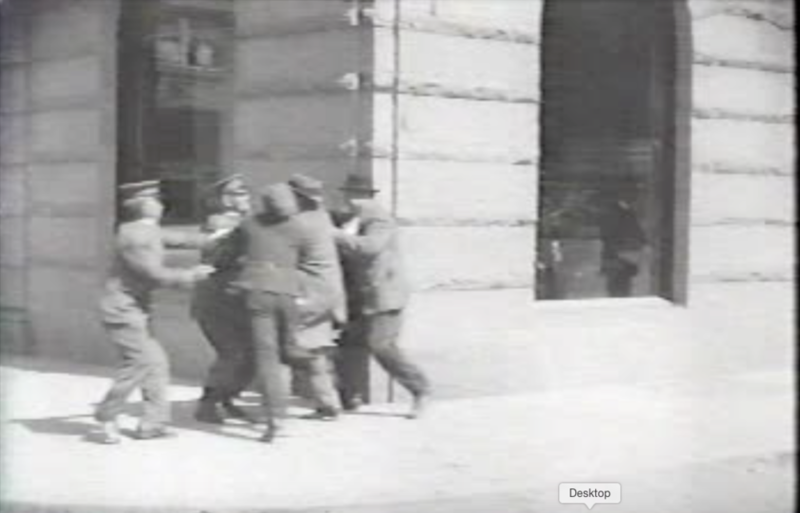 PEOPLE'S BANK (1515 Pacific Ave. at Locust St.): Exterior, beat cops give chase. PACIFIC AVENUE, street scene north of Cooper St. THE LESLIE BRICK BUILDING (155 Mission St.): 1st brick building in town. Exterior, as a newspaper plant. 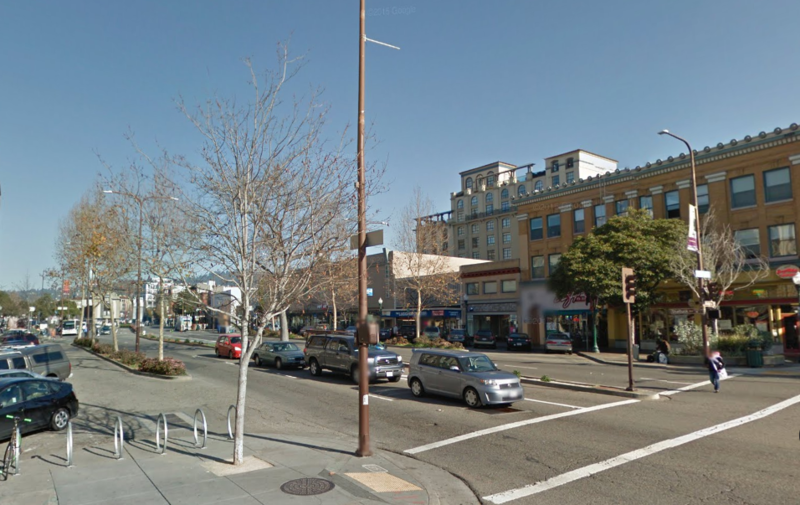 HOLY CROSS CHURCH & PLAZA (seen from Mission & Emmett sts. ): Exteriors, showing unpainted redbrick Catholic church. HOLY CROSS SCHOOL (163 Emmett St.): Exterior from Mission St., showing school-yard entrance gate, and a crowd of kids from Holy Cross School and Mission Hill School. J.F. SIMPSON HOUSE (site of the Presbyterian Church on Mission St.): Filmed porch & parlor, as "Clara Madison's house." PIEDMONT COURT (260 High St.): Courtyard, for "wedding banquet"; and balcony for "street parade speech." CROWN ARCH NATURAL BRIDGE: (West Cliff Drive & Woodrow Ave.). BERKELEY PARADE: On Shattuck Ave., in front of Shattuck Hotel. 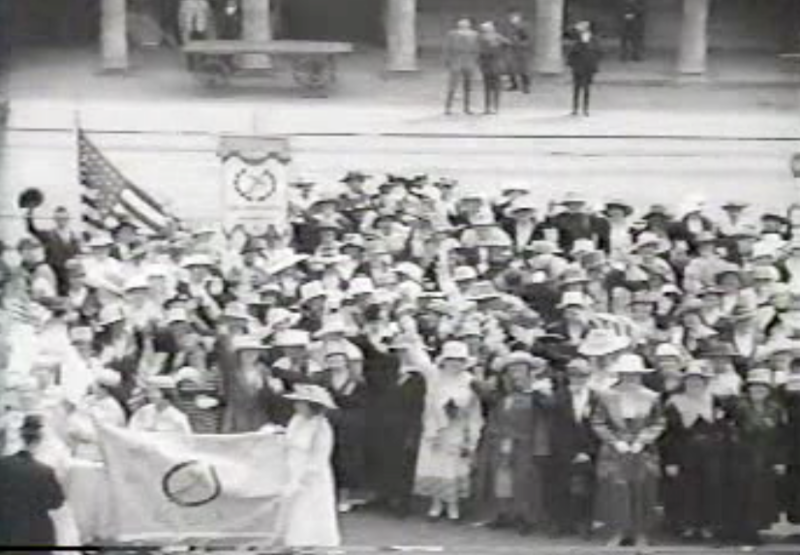 BERKELEY TRAIN DEPOT: Campaign speech to a group from the Young Ladies Institute. STATE CAPITOL BUILDING in Sacramento, coming down 11th Street.